After having consumed very little electricity for a century, China’s 1.4 billion people consume more power today than any country in the world. Though per capita consumption is still only one-third of the West, China’s appetite will keep increasing, driven by government policies favoring urbanization and cleaner appliances and vehicles. If future demand increases by half the historical rate since modernization, China’s tremendous power consumption may double in two decades. In response, China aims to diversify away from the coal firing that accounts for most of its electricity production. Beijing has pledged to clean the air in China’s still-growing megacities by the 2030s and coal’s ecological balance in China is woeful. Though China will pursue many noncarbon options, Beijing sees nuclear energy as an important base load power source that is available, economic, and reliable. China’s nuclear power wager might not indefinitely pay high dividends. Until now, the state has boosted the nuclear power industry with incentives that, in the future, may come under pressure. The electric power system is subject to reform in the direction of more transparent oversight and pricing that might disadvantage nuclear investments. President Xi Jinping supports state control of strategic economic sectors, but he also advocates market reforms that have helped lead Western nuclear power industries into crises. The nuclear sector must withstand what Xi calls “new normal” conditions: a gradual slowing down of China’s economy, characterized by diminishing returns on capital goods investments and translating into rising debt and overcapacity. Nuclear investments may be affected by demographics, changes in electricity load profile, and technology innovations including emergence of a countrywide grid system able to wheel bulk power anywhere. There is also political risk. 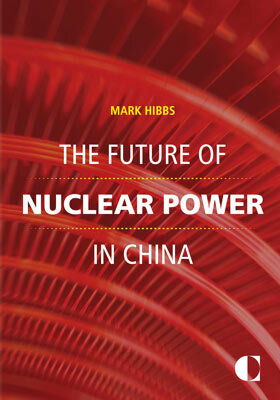 Public support for nuclear power in China is volatile and may be low. Concerns since the Fukushima Daiichi accident in Japan have prompted Beijing not to proceed with long-established plans to build most of China’s future nuclear plants on inland sites. Should this policy continue into the 2020s, prospects for China’s nuclear construction sector will decline; indefinitely continuing nuclear construction at eastern coastal sites (where nearly all of China’s nuclear power is generated) may encounter resistance on economic, capacity, and political grounds. Until now, China’s impressive nuclear development has relied on technologies invented a half-century ago by others and that China has replicated. During this century, China aims to replace light water nuclear power plants with advanced systems launched elsewhere but never compellingly deployed before. China today is poised to make these investments but lacks deep industrial expertise for some technologies it has selected; to succeed it must effect transitions from R&D to commercial deployment. China’s current heavy nuclear R&D spending must be sustained to succeed since some systems may not be ready for commercial deployment before the 2030s. China’s nuclear industry must depend on the state to make its nuclear technology transition; Beijing must down-select technologies and decide whether to trust the market to make economic decisions. Whether China succeeds or fails, the global repercussions will be significant. If China merely replicates others’ collective past experience, it will reinforce the view that fast reactors and their fuel cycles are too risky, complex, and expensive to generate large amounts of electricity. If, instead, China clearly succeeds in its ambitions, it may significantly raise the profile of nuclear power toward the twenty-second century. If so, China will deeply influence global rules and understandings governing the risks associated with nuclear power systems.